The switch will be flicked to off; the active monitoring of CCTV in the central and west of Cornwall will stop on the 1st of April. These cameras will now just remain static, filming away without a care in the world. In other words being as much use as a chocolate fireguard. The reasons being Cornwall Council cannot afford to fund the full operation, the local Town Council’s refusing to stump up more money to make up the shortfall and the Police unwilling to put their hands in their pockets and help fund these systems. Hence the situation we are now in. The question is now who be blamed for any increase in crime? My answer would be all 3; because something could have been worked out if everyone had paused and stepped back one step. I have made it perfectly clear in previous blogs on this topic that I was amazed that the Police did not contribute more. Sure, they offer the space for the monitoring equipment to live and operate, but apart from that they offer no other money. The towns that have had the benefit of these systems for many years have also to realise that things cost. In the east of the County (or Duchy for the purists) the towns that have CCTV have paid for their operation for many years out of the Town Council precept. They have rightly said why we have to pay for this, when others get it for almost free. Maybe the towns who had received this almost free service could have said ok, we understand the budget pressure and we are willing to pay more, but not that much. Cornwall Council has also had to take the blame. They should not have demanded such a large increase and in a lot of cases after many Town Council’s had already set their precepts for the following year. This means theses Town Council would not even have had the budgets to stump up more cash. And the Police, instead of saying No outright, could have had the foresight to realise they were the ones who are going to take on the extra burden if crime does increase. In the independent report undertaken by Cornwall Council it pointed out in black and white that the reduction in the CCTV system would be the equivalent of losing or having to find and additional 36 officers. That could cost the Police Authority roughly £1m per year in extra wages, which of course does not include all the other associated costs in recruitment and training. At the end of the day everyone is going to be a loser on this subject. The public whilst not always liked being filmed the moment they left their house and though out the day understood the need for CCTV. Statistics that the Police and Local Authorities love will see these figure change for the worse and will then have to spin and blame others as to who is at fault. Worse still, it now gives those criminals the green light to do as they like because there is now even a lesser chance of being caught or deterred from carrying out a crime. Here is yet another post on CCTV; this one is a follow on from where I last left off about the contributions from the 11 Town Council’s in the West and Mid of Cornwall. Last night, at the monthly meeting of Helston Town Council, they discussed their contribution towards CCTV. During the discussion it came to light that the Town Council was not aware of the latest Cabinet meeting, or the proposals surrounding CCTV. During the debate, reference was made to the other Town Councils that had been asked to contribute. It was said during the debate by the Town Clerk, though I can’t 100% confirm it is correct, that Penzance, Falmouth and Redruth had all said no, with Camborne asking for more details before they decided. That is a lot of towns to say no, especially as it was only discussed at Cabinet a couple of days before. A question is how much Cornwall Council knew of the reluctance to paying before this was presented to Cabinet. In the end, Helston Town Council passed a motion that they would not contribute to this scheme because they felt that they would not pay more for a reduced service. So if the other towns I mentioned have indeed said no, then the likelihood of any monitoring of CCTV is very remote. I wonder how the news of Helston Town Council no vote will be received at Cornwall Council? Maybe the question is now; what is the point of having CCTV if it is not monitored? I only blogged about this subject yesterday, but after what happen in today’s Cabinet meeting I thought I had to add to it. As I had pointed out before, the current operation and more importantly monitoring of CCTV in the Mid and West of Cornwall requires 11 Town Councils to contribute around £110k per year. The case for this was presented to Cabinet, so far so good. That was until the Chairman of the Communities OSC, Judith Haycock, said what this Committee had recommended following two inquiry days was not what was presented today. I having attended all those meetings agreed with her and awaited the explanation. That explanation was rather woolly in my opinion. This whole scheme rested on the Town Council’s signing up and more importantly handing over the loot. A question was raised about what would happen if those Town Councils had already set their precept (budgets) and had made no allowance for this additional charge. I raised a further question asking if they had already set the precept could they either defer payment, or split it to take into account the problem of precept. This was met with a slight nod and murmur from those in charge of the purse strings. It was when Julian Germans (Cabinet Member) asked if any of those 11 Town Council had said no to the proposals. The answer that came made everyone present look up with shock. One Council had said no. it was suggested by another Member that another had as well. So if they (the authors of the report) knew that one, possibly two of the Council’s had said no, then the first part of the recommendation falls, that is even before a vote is taken. The recommendation quite clearly states that if all 11 Council’s don’t sign up, then its good-bye CCTV monitoring. CCTV- Cabinet and Flicking a Switch to Off? Reading though the Cabinet reports before the meeting tomorrow I came across the item Agenda on CCTV. Click HERE for that document. I have also blogged about this before HERE, HERE and HERE. Now I might have missed the point, but previous meetings on this subject had made it perfectly clear that CCTV would not be switched off. It was only when I came to read the Cabinet report that it does say it will be switched off if certain things are not done. The proposals in the report requires £110k in contributions from the 11 Town Councils. If they don’t get this by means of written confirmation from those Councils, or that no payment is received from them after the letter, then the CCTV will be switched off. Don’t believe me, or dont want to click the link, then here is the wording of the recommendation. So as you can read, if the Local Town Councils don’t stump up the loot then it is going to end up with the flick of the switch to off! My question is, how many of Cornwall Council Members know this could happen? What I can’t say is actually happened at this meeting, even though I have said before and at the meeting that most of all this information was already in the public domain. You could refresh yourselves with a previous post I wrote that was not subject to these restrictions. Click HERE. Anyway, what I can say is this meeting took over 2 hours and a recommendation was indeed made. I just can’t say what the recommendation was, or how it was discussed. What I can say is this recommendation will be presented to the Communities Scrutiny Committee in October and then onto Cabinet for the final say in November. Yes, that means full Council will not have the final say. Sadly, only 15 Members of the Council attended today, even though it was a full invite. Because the powers-to-be decided that this information should be restricted I now can’t discuss any of the issues raised with either the two Town Councils I cover, and/or the general public until it appears on the Communities OSC Agenda. You can hardly call that being open and transparent. As ever, Cabinet is one of those meetings on a Councillors monthly calendar that they should attend. The reasons are that most of the major decisions are made by the Cabinet. This is a moot point with a lot of Councillors. It’s also one of the best ways of finding out what decisions are made, and how the debate went. Sometimes (just sometimes) a late amendment to a proposed plan is suggested by a back bench Councillor that is in turn added to the original proposal. On one of the more interesting and possible contentious items on today’s Agenda was Item 15. This is the plan to introduce Automatic Number Plate Recognition (ANPR) cameras in all of the Council’s household’s waste recycling centre, i.e. SITA sites. The Council wants to monitor the use of these centres and to stop the misuse of the sites. The misuse is not the general public who recycle house hold waste, but traders who are not allowed to use these sites to dispose of trade and industrial waste. The second part of this recommendation is that all vans and large trailers will be banned from using the sites. In this scheme all vans and large trailers would be banned unless a permit for their use had been obtained. Permits would be issued to residents if they could show that the vehicle was the only suitable vehicle available to use the site. The applicants would need to show that their waste is not commercial in origin and that their vehicle was not over a given size that would impede the operation on site. The permit system will be introduced in January 2011 with the camera fitted and in operation by the 1st April 2011. This was passed today at Cabinet with the support of all those Cabinet Members present. I made the point that stopping the misuse of these sites is all well and good, but would this not encourage and/or increase the likely hood of fly-tipping. I further asked that if this did indeed turn out to be the case would adequate resources be found/directed to stop, and if need be, prosecute offenders. I was told that the Council takes a zero tolerance to fly-tipping and vigorously prosecutes offenders. The trick is catching these offenders if they off load in the middle of the night and away from the likely hood of being seen. 17th Sept is the date for the CCTV inquiry day. This is the second day of this inquiry, as the first day resulted in more questions than answers. Sadly, Cornwall Council has decided that all this information should be restricted by means of this info being placed on ‘Pink Pages’ (not for public use). I am really struggling as to why they have taken this stance. Most the details in this report are already in the public domain, so further restricting it seems, well, pointless. The last day did attract a lot of interest, so maybe the Council wants to control this information a little more. I have sent an e-mail to the Monitoring Officer (Chief Legal Officer) asking for the reasoning behind this, and for clarification. I have also asked a further question that if I was to do a FOI request would this information be made available. If it would, then that further proves the point of the over zealousness of restricting this information. The other day I attended an inquiry day set-up by Cornwall Council. This was on the cost and effectiveness of CCTV in Cornwall. 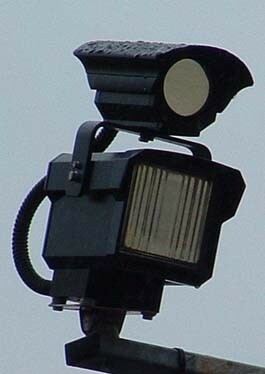 To be honest, I have got accustomed to seeing these cameras in various locations around our towns. I thought overall they are a good thing if they reduce crime and make people feel more safe. I am not one of those who believes its a infringement on our civil liberties being watched by these cameras. 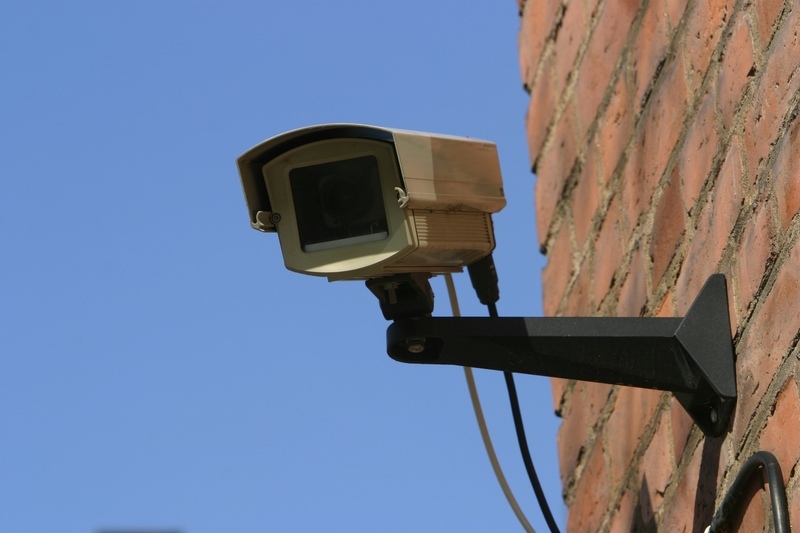 In Cornwall there are 4 CCTV systems covering 14 towns with 161 cameras in total. Two of the systems are operated in-house with the other two are outsourced. The four systems are run and controlled at Truro, Liskeard (in house) and Hayle and Newquay (outsourced). Currently these systems cost £984,000 to run and operate. This is broken down by the following. Maintenance £147,000, Monitoring £600,000, Transmission £163,000, Other £74,000 . This is funded via £833,000 by Cornwall Council, £151,000 by various Town Councils. The most surprising aspect of this is that the Police make no financial contribution to the running cost except that they allow two of the systems to use the Police Stations rent free. Now to the point of the Police funding, or lack of it. This raised everyone’s eyebrows to say the least. Surely the main beneficiaries to this system are the police. In fact, an independent report by Deloittee Consulting said that the use of CCTV equated to having another 29 Officers on the beat. The answer from the Police representative said we had no statutory duties to fund CCTV. A question later to the consultant about do the Police fund CCTV schemes in other Authorities was answered yes, either fully, partly or as in Cornwall’s case, not at all. 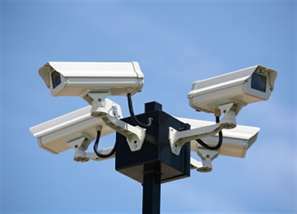 As for why we are having the inquiry on CCTV is party due to the cost, including the value of money to Cornwall Council. There is also a claim from various investigations that there is limited, if any, evidence of public realm CCTV actually reducing crime based on national evidence. Now this is not to say it does not, or it can be used to prevent crime as in stopping incidents escalating because it’s been caught early and dealt with. Not to mention that it gives the public a peace of mind. We are also at a point that capital investment is required to replace ageing equipment estimated at £500k plus £100k per annum. Could this and the running costs more effectively used funding other crime prevention and reduction schemes? What must also be looked at is if the Police and/or other parties will agree to fund revenue and capital costs. If not, one of the proposals on the table is to simply flick the switch to off. What is going to happen now is various avenues and questions raised at this first day will be brought back to be thrashed out before the findings and recommendations are presented to the OSC, who will then report to Cabinet for a final decision. I got the feeling from the Police that they were unhappy/unlikely to agree to fund CCTV fully or partly. The question is, can the Council afford to pay for this service?